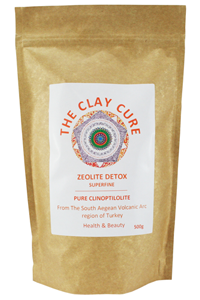 The Clay Cure Company Zeolite Detox is a naturally occurring mineral of volcanic origin. It was formed millions of years ago when lava and ash fell into the sea. Clinoptilolite Zeolite is a mineral with unique properties. Due to its open molecular structure and naturally occurring negative charge, Clinoptilolite acts like a cage, trapping positively charged particles such as heavy metals and pesticides. These are then excreted through the body's natural elimination channels in a safe and effective manner. Take a teaspoon in a large glass of spring water twice daily. 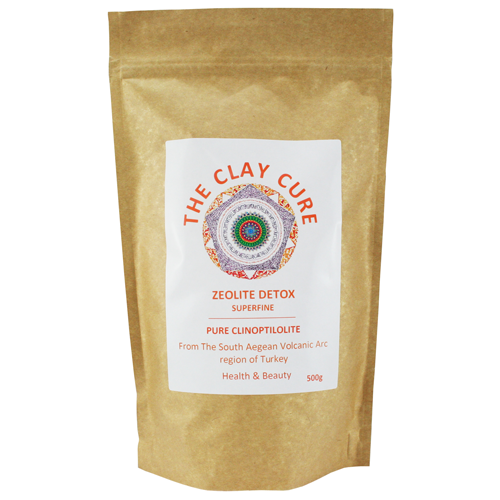 Increase your fluid intake to facilitate the detoxification process.